Will Power/No.12 Verizon Team Penske Chevrolet was second fastest, followed by Ryan Hunter-Ready/No.28 DHL Andretti Autosport Honda, Rookie Jordan King/No.20 Fuzzy’s Vodka Ed Carpenter Racing Chevrolet, and Max Chilton/No.59 Gallagher Carlin Chevrolet. 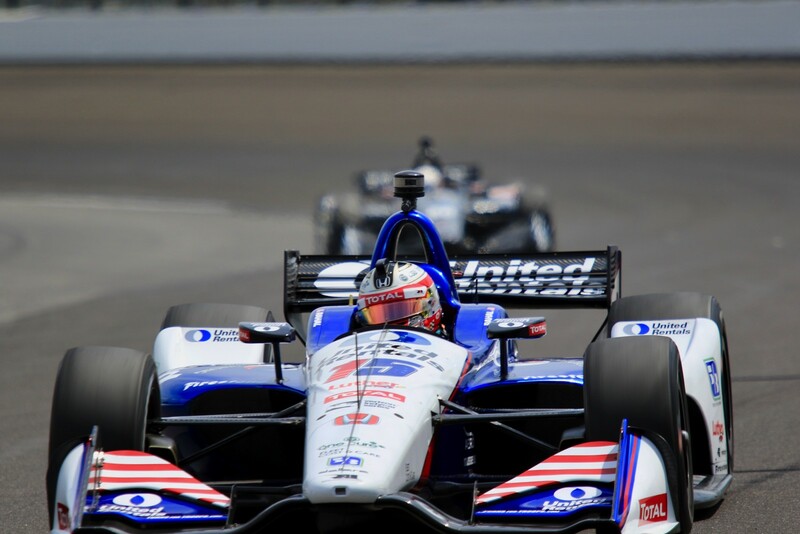 Other leaders were Helio Castroneves/No.3 Verizon Team Penske Chevrolet, Sebastien Bourdais/No.18 Team SealMaster Dale Coyne Racing Honda, and King. All 24 cars were on course. The weather was overcast, 78 degrees F and wind 12 mph. Marco Andretti/No.98 Honda pulled off into Turn One with a smoking engine on Lap Three, bringing out a Red Flag. His car visibly slowed going down the front straight. 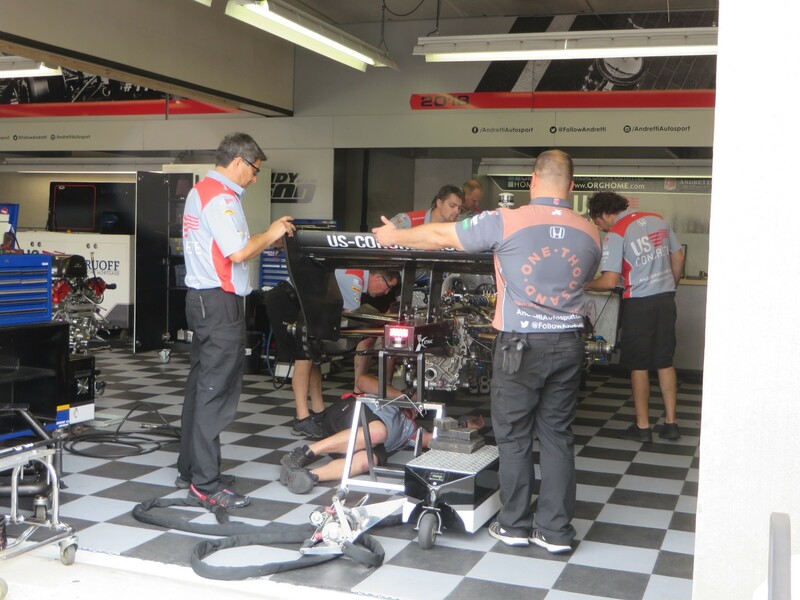 He blew his engine, which the crew changed as soon as he got back to the pits. The clock kept ticking during the incident, and the Red Flag time was 7.33 minutes. Race Control added five minutes to the end of the session. Andretti only had two laps and finished last. The loss of warmup laps put him at the bottom of list of laps completed for the weekend – 35. 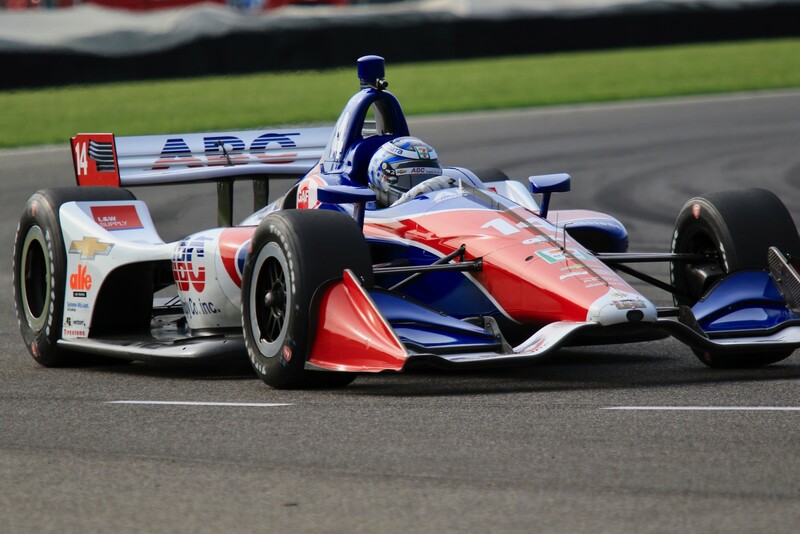 Ed Jones/No.10 NTT Data Chip Ganassi Racing Honda continued to lead the charts in terms of laps completed. He ran 57 for the weekend. A second Red Flag was called a minute later for wildlife in Turn 12. Rescue trucks were dispatched to shoo a small flock of geese. But they just landed on another track section, where they danced and cavorted around. The cameramen had a field day portraying the antics. On the ground, that would be a gaggle. In the air they would be a skein. The gaggle became a skein. This Red Flag lasted 3.83 minutes. 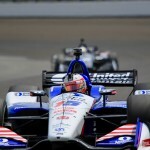 Gaham Rahal/No.15 United Rentals Rahal Letterman Lanigan Racing Honda tested the grass and continued. He finished fourteenth. It was all stop or go racing, with no cautions for the session. 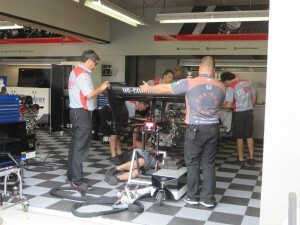 Castroneves sat out the final five minutes of the half-hour session, as he took the Checkered Flag twice in qualifying. 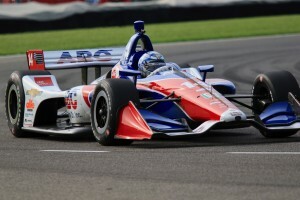 This GP will be the 288th consecutive race for Tony Kanaan/No.14 ABC Supply AJ Foyt Racing Chevrolet ranking him second overall behind the 329 consecutive races for Scott Dixon. For Race Day, the mobile TV personnel on the ground get an assigned Security Guard, who facilitates a clear path to wherever the broadcaster has to go. I confirmed with one well-known ABC TV pit reporter that the Guards are invaluable in ensuring the shortest/safest path is maneuvered, and that the governors on their golf carts are removed to speed the transit. The weather continued to be a concern. The predicted afternoon thunderstorms moved northward and the track was dry for Saturday racing.The predictions were for high heat, but the wind – which felt stronger than the listed 1 mph – tempered the heat considerably. It was only been mid seventies all morning, with track temperatures in the mid eighties. The Mazda Road To Indy support series had qualifying and races Saturday morning. Alex Baron/No.19 started on the front row and won the first USF2000 Royal Purple GP of Indy He took over the lead from Pole sitter, Rookie Kyle Kirkwood/No.12 , who led the first eight laps. Kirkwood came in second, followed by two more Rookies – Jose Sierra/No.15 and Jamie Caroline/No.28. Finishing fifth was Kory Enders/No.11. There were two cautions for five laps for accidents: Lucas Kohl/No.22 in Turn Four, and Rookies Oscar DeLuzuriaga/No.38 and Michael d’Orlando in Turn Eight. Twenty-three of the 26 starters finished the race, twenty of them on the lead lap. 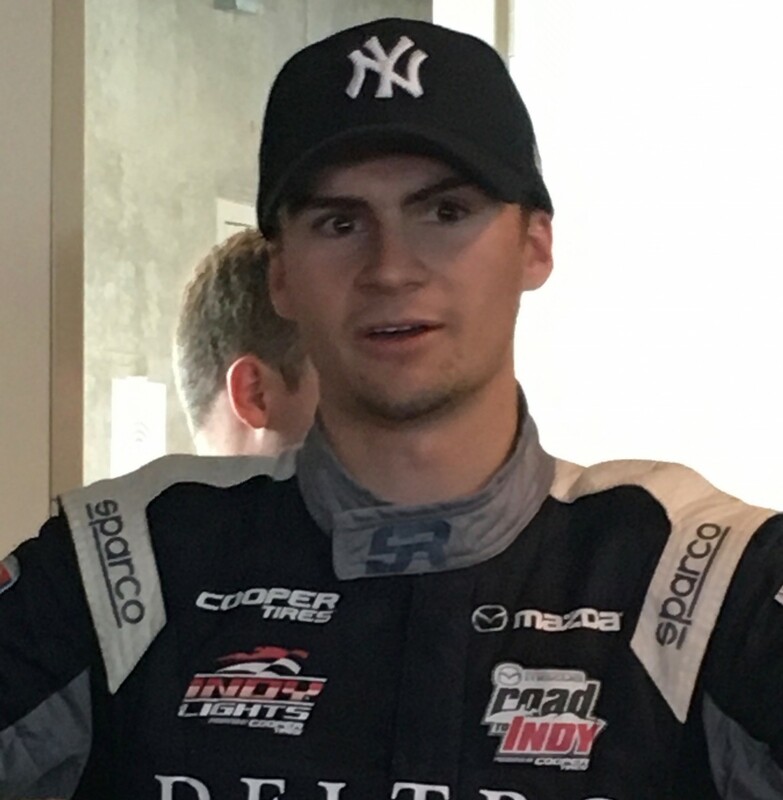 Rookie Scott Harrison/No.10 RP Motorsport Racing started third and took the lead in Lap 16 to go on to win the 25-lap Pro Mazda Royal Purple GP of Indy. Pole Sitter/Rookie Oliver Askew/No.3 came in second, but never led any laps. Rookie VeeKay Rinus, who started on the front row, led twice for 13 laps and finished third. The other driver who led laps, Rookie David Malukas/No.79 BN Racing led for two laps after starting fourth. 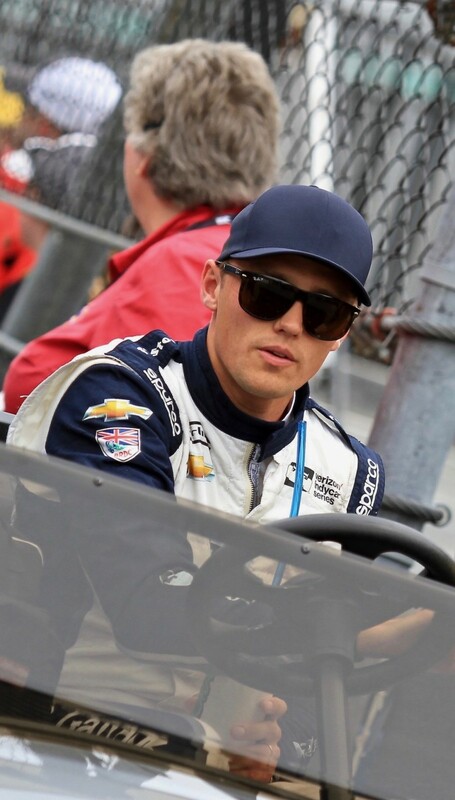 He finished seventh, and turned the fastest race lap of 107.876 mph/1.21.3931. Fourteen drivers started and 11 finished, all on the lead lap. 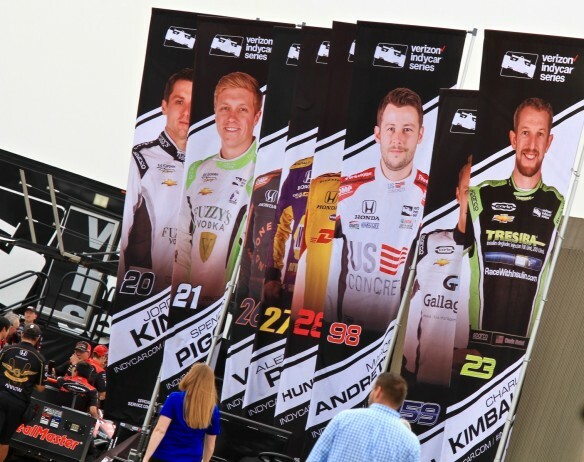 Three drivers retired – one for contact – Sting Ray Robb/No.82 Team Pelfrey; and two for mechanical woes – Rookie Andres Gutierrez/No.81 Team Pelfrey and Rookie Megennis/No.9 Juncos Racing. There were two cautions for five laps to tow the wounded cars. 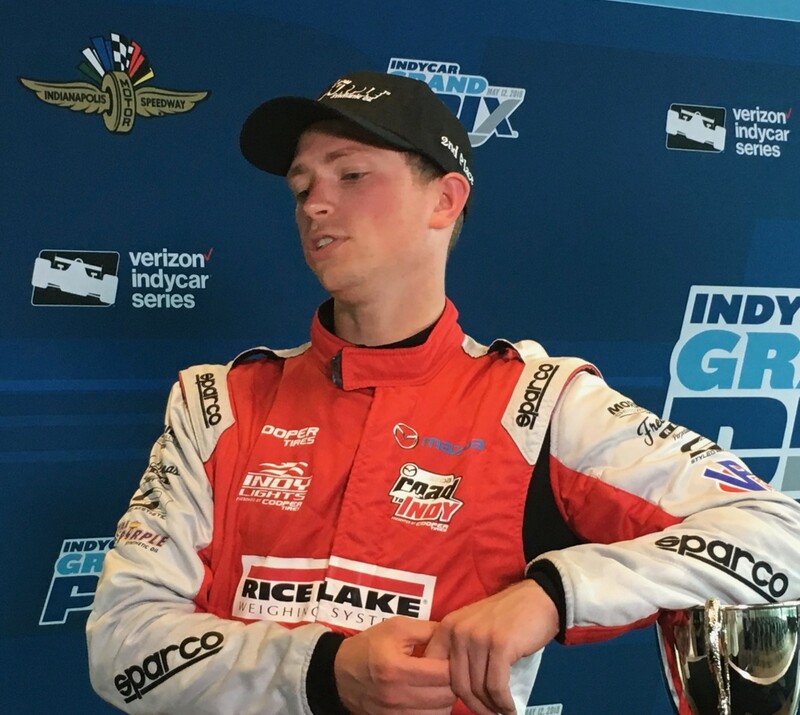 The Indy Lights presented by Cooper Tires Series had an exciting first race. 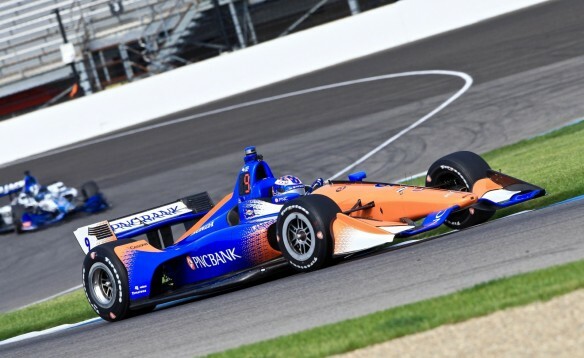 The Royal Purple Synthetic Oil Grand Prix of Indianapolis supporting the Lupus Foundation of America has to be one of the longer race titles I’ve covered lately. The race may have lacked quantity of drivers, but it had quality of exciting racing. Andif you wonder where all the Lights teams are – check out the Indy 500 Entry List. Every team in Lights has a car or more running this year. Talk about Development Series – Indy Lights is the epitome of the concept. Two of the seven drivers were Rookies – Pole sitter Pato O’Ward/No.27 Andretti Autosport and Victor Franzoni/No.23 Juncos Racing. Ward had the pole with Colton Herta/No.98 Andretti Steinbrenner Racing beside him on the front row and Franzoni behind in third. There was a battle going into the first turn with a couple of cars going wide of the mark. Santi Urrutia/No.5 Belardi Auto Racing prevailed and led for the first half of the race, while Herta and O’Ward playing catchup. There were no cautions so it was Green Flag racing for 30 laps. Herta took over the lead on Lap 16 and held on for the finish. He also turned the fastest lap of 113.214 mph/77.5557). Urrutia finished second and Aaron Telitz/No.9 Belardi Auto Racing was third. O’Ward finished fourth. All cars finished on the lead lap. There must be mega media interest in the IMS events this weekend, as the WiFi just keeps getting slower and slower, making electronic transmissions of material problematical. After the IndyCar GP there will be an authorized Track Invasion, with ten designated entry points. This entry was posted in Indy Lights, IndyCar, Mazda Pro Championship, Motor Sports, USF2000 by Lynne Huntting. Bookmark the permalink.